Well hey there! Happy New Year! We are now a week into the new year, and in keeping with my resolution to post more photos, I thought I would start with photos from one of the many home improvement projects that I have been hoarding. So it took some time, but our upstairs guest bathroom is finally finished from top to bottom. 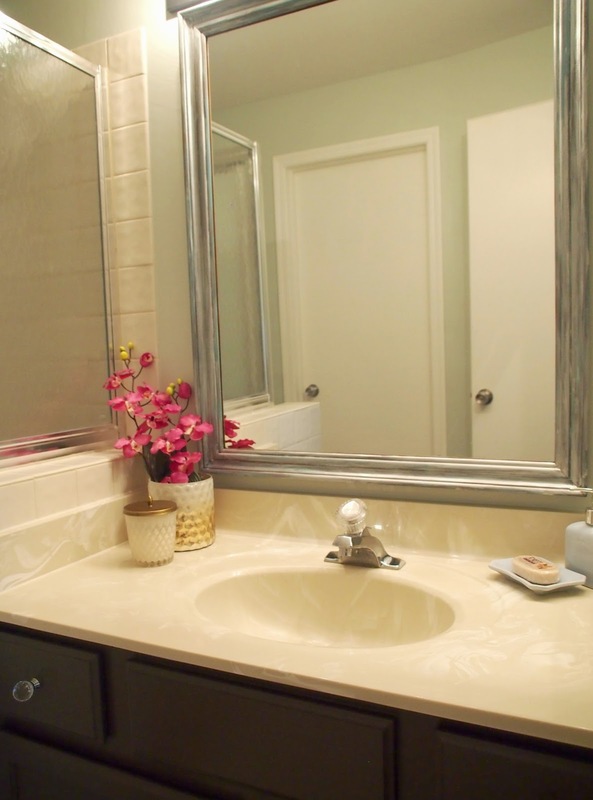 Lucky for me, the tiles and counter were all in good shape so I didn't have to do anything major to the structure of the bathroom, just a couple cans of primer and paint made a HUGE difference in the overall look and feel of the space. 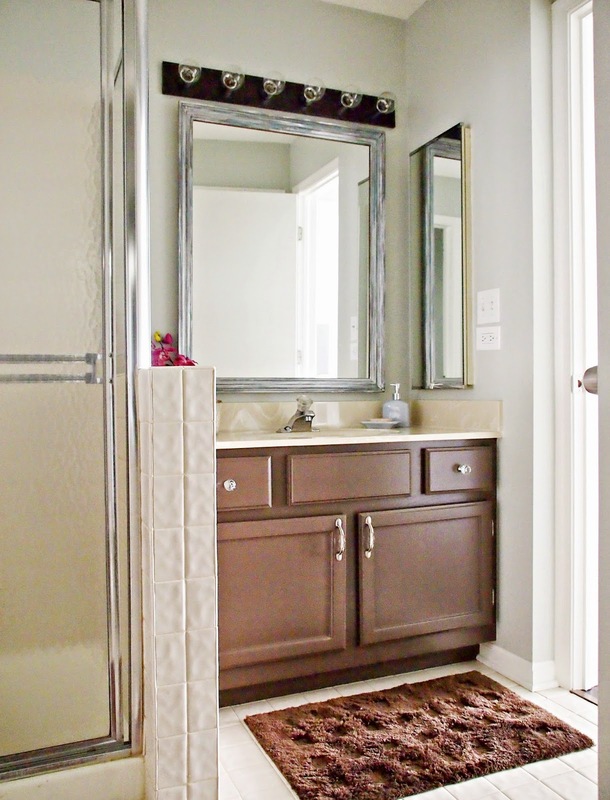 Gone is the glossy pink salmon color on the walls, and in it's place is a blue-ish gray tone called Gray Owl by Benjamin Moore in an eggshell finish. The oak vanity has been repainted in a dark brown semi-gloss (called Van Buren, also by BM) and I bought some shiny drawer pulls from Amazon to spruce up the look and make it easier to access the drawers. 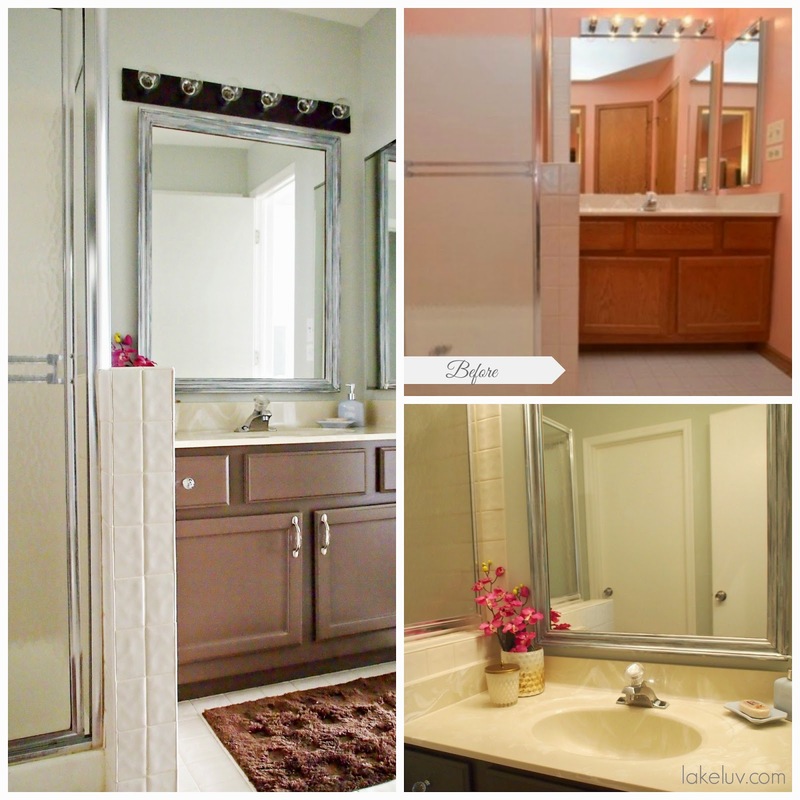 Can you believe that the bottom door pulls on the vanity were from Goodwill for $1.99? I know, I love that place, those exact pulls were selling at Target for $14.99 for the pair. We also pulled down the 80's flat mirror panel and put up a newly painted mirror that I also bought at Goodwill for $12. The mirror had an oak frame and I gave it a good coat of Rub n'Buff in silver, blue and gold to go with the colors of the bathroom. For a final touch, I also spray painted the builders vanity light plate with Rustoleaum's spray paint in a metallic oil rubbed bronze to change up the look. Add in some shiny accessories, soft towels and flowers, and I have a whole new space for under $200 dollars. 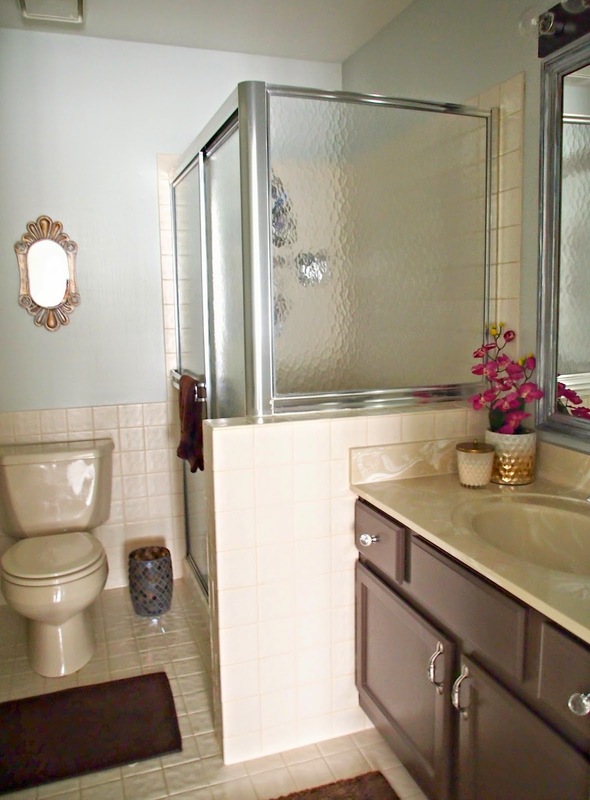 I'm loving the new feel of the bathroom, and I hope my guests do as well. 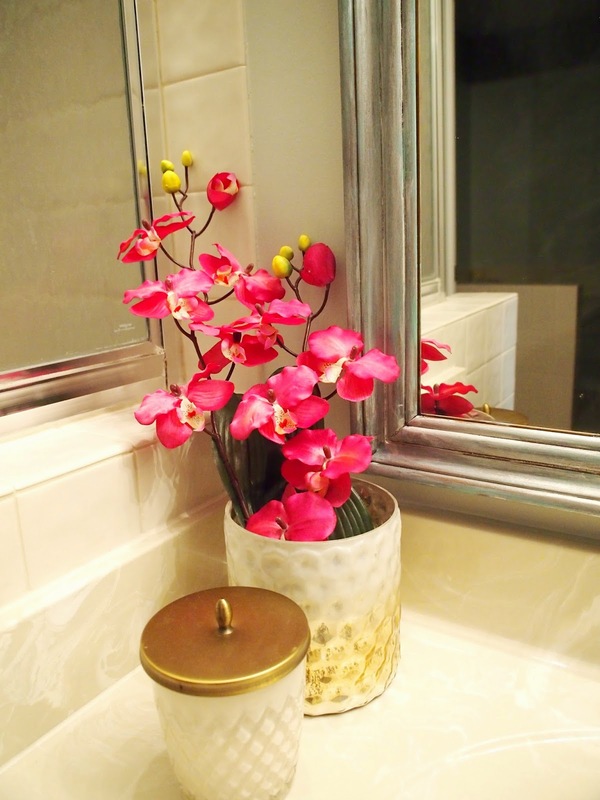 I have two other bathroom projects to share with you soon, so check back often!